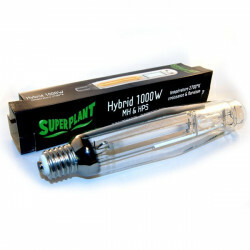 BULBS MH and HPS There are 100 products. 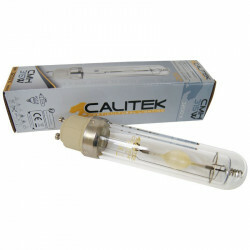 The bulbs Superplant, Philips, Sylvania, and Gavita, Osram, Lumatek, at your disposal in this radius. A wide selection ofHPS bulbs or MH is offered to you, different powers (150 W, 250 W, 400 W, 600 W or 1000 W), to help the flowering and the growth of your crops. 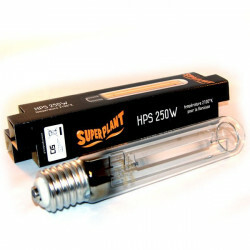 HPS bulbs (high pressure sodium) are made up of a tube containing sodium, mercury and xenon. 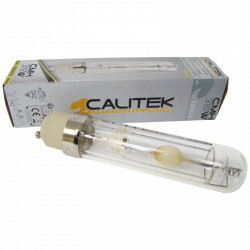 This type of lamp gives off a warm light ideal for flowering plants of your culture room. Bulbs MH (metal halide), with a base of argon, mercury, and sodium, spread a blue light more adapted to the growth of your indoor culture. 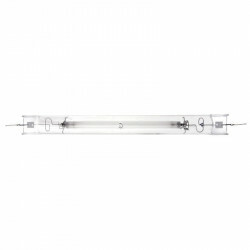 If you buy a MH bulb or HPS,it will also need to acquire other equipment such as an electronic ballast or magnetic control of the electric power of the lighting. To obtain a greater life span and lower energy consumption, lighting, led horticulture is also ideal for the growth of your plants. In Indoor Discount, made to rhyme hydroponics with economy !